What an evening! What a turnout of boats! 28 must be a record. The chop on the water was super-lumpy ‘fun’. Must have Kat’s extra large bump! Youngest on the water was Miss Ruth Shephard with Brian G, both sporting RCC mohicans, with Noel-the-Iron-man in the superhero K2 with Jim second youngest. Which was the fastest. Tricky for both in the front, as there wasn’t much rudder in the water. 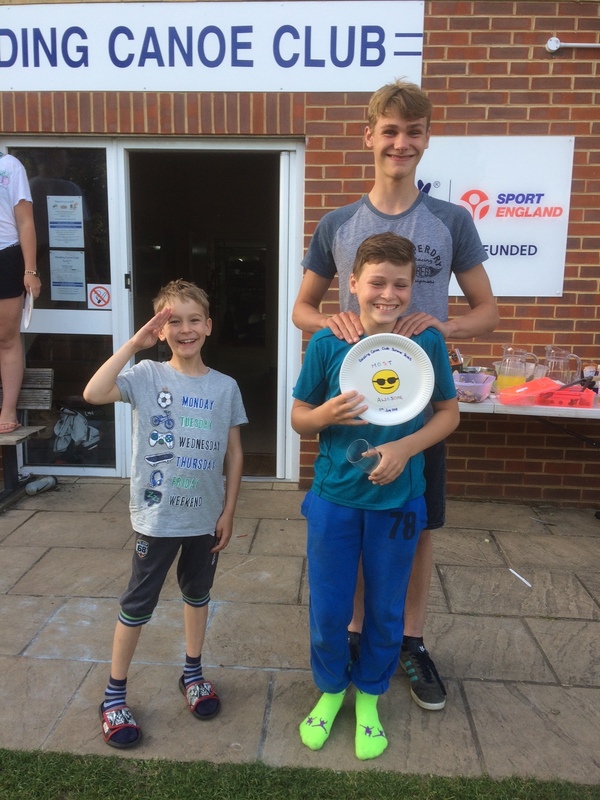 The Betts boys – Toby and Sam – made an excellent partnership, and they won a prize … for simply being awesome! Suited up for the occasion we had Alex and Magnus … very nearly getting the fastest time, but that went to Dan and Freddie, although they didn’t quite break the RCC all-time record. 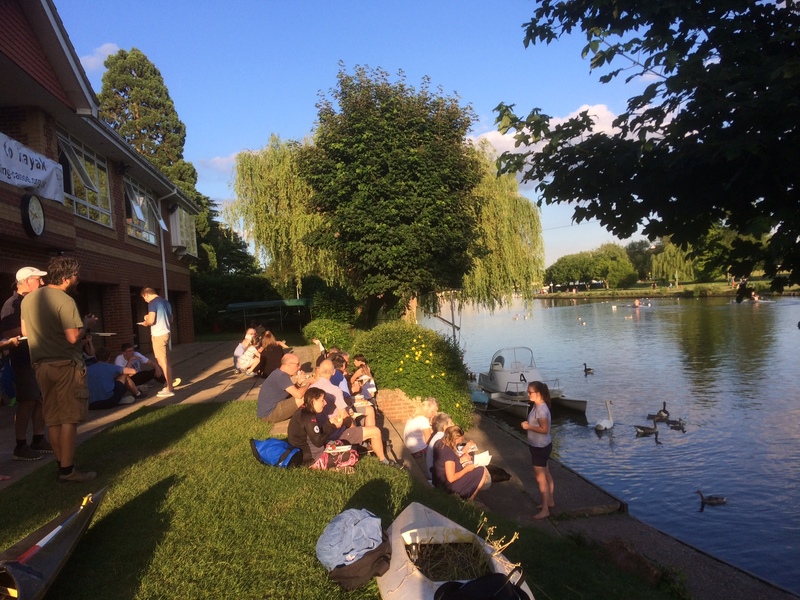 Great bbq work from Nathan and Mark Kubisch – thanks so much – and fabulous salads from volunteers. Thanks Kat and Immi for organising and hosting, and all the ever-helpful helpers, too. Good turnout!